Uses: toys, decorations, collectibles, gifts. If you are very concerned about the box, it is best not to buy here. This is great for children and collectors. Get it now! Condition : New. Version: Made in China,China Version. Awesome lot of vintage and modern Star Wars action figures. All in good condition see photos. Thank you so much for looking please check out some of my other items. New Star Wars A New Hope Deluxe Figurine Set! Disney! Broken Stormtrooper Legs! Black Series Mimban Stormtrooper 6" (Solo: A Star Wars Story ) IN STOCK! 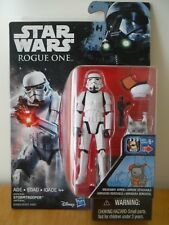 Star Wars black series Mimban Stormtrooper 6 inch toysrus exclusive in hand ! 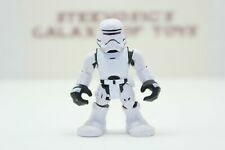 Star Wars Vintage TOP TOYS Stormtrooper! MOC! HOT TOYS STAR WARS FORCE AWAKENS HEAVY GUN STORMTROOPER 1:6 SCALE MMS318 NEW!